I’ve written of my attachment to the former Whitney, of my love for the modest-scaled museum that always generated immodest noise about the art it displayed, and of my distaste for the ongoing super-sizing of art museums. 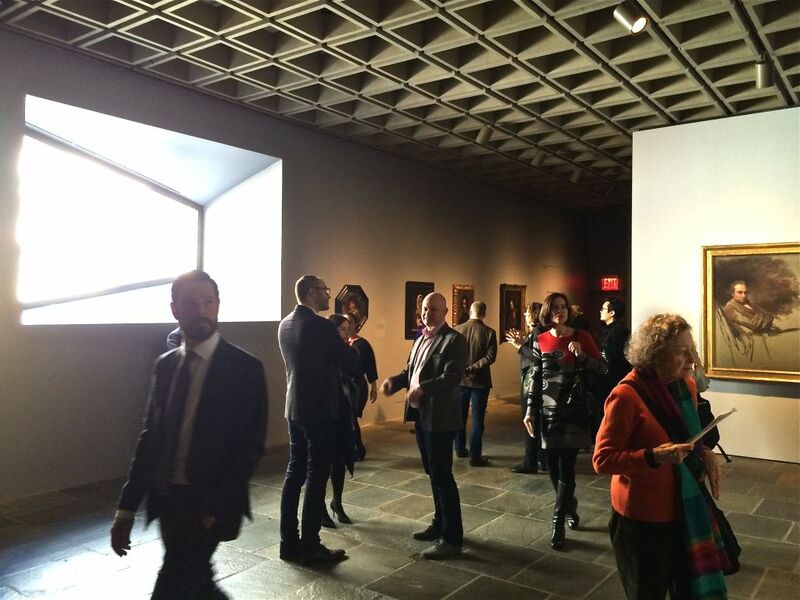 I arrived at the opening thinking that I’d have something to say about how the Metropolitan was using the 1966 building, how Beyer Blinder Belle restored it to Breuer-esque purity, how wonderful it was to be back inside after more than a year’s absence. Instead, I realized that my feelings about Breuer’s building are very difficult to separate from my feelings about the Whitney. That I loved this no-nonsense hunk of Brutalism so much was because I loved the art that used to be inside. From the overheated Biennials to the revealing exhibitions of artists such as Ana Mendieta, Kara Walker, or Kiki Smith, every visit to the museum was a new experience. In truth, I wound up enjoying “Unfinished:Thoughts Left Visible,” which includes artworks from the Renaissance to the present. It’s concept survey of the sort the Metropolitan does well, although it’s far more didactic than anything I’d ever seen in the building’s previous incarnation. At the same time, I found it slightly unsettling to see a Tintoretto or a Titian in a gilded frame on walls that had been devoted to American art, and, mostly, to the present moment. I wound up feeling as if the building had been deadened, as if its soul was gone. I thought: the building is just a building. It’s not that I think works of architecture should be disposed of once they’ve lost their original purpose. I don’t. It’s just that I discovered that my love for this particular building was never exactly about Breuer’s architecture, but rather about the interplay between the Brutalist container and the curatorial magic within. It was never the Whitney Breuer. It didn’t have to be. The Breuer part was integral to the Whitney part. Until it wasn’t.